For many decades the Kurds have been fighting for self-determination and an independent Kurdish state. It’s worth listening to the young generation of Kurds living in the diaspora who are greatly affected by having no state at all. I was reading the winning submission for the Orwell Youth Prize 2016, which was awarded to two young Kurdish girls (1). One of the writers was asked by her geography teacher where she came from and she replied, “I am Kurdish and come from Kurdistan”. Her teacher asked her assistant to look for Kurdistan on the map and they couldn’t find it. Eventually the young girl told her teacher, “We are a stateless nation and we don’t have any seat at the UN, and therefore there won’t be any maps for Kurdistan”. This is the predicament for all the young generation living outside Kurdistan. Masud Barzani is adamant there will be no turning back, despite all the pressures from the outside world, and he has told the world powers that unless there is some kind of international guarantee to back the Kurds in their plight and their demand, the Kurds will go ahead with their referendum on 25th September. The Kurdistan Parliament has considered a motion in support of the referendum which it has passed. The neighbours are reacting in different ways. Iran is mostly threating the small KRG de-facto state for being on its borders and seeks to isolate the south of Kurdistan from Iran. Turkey’s national security council is holding a meeting on 20th September to discuss the position of Turkey on the referendum in the south of Kurdistan. Let’s bear in mind that Turkey is one of the countries with its own oppressed population of Kurds which has said in the past that if a Kurdish state was born in Latin America it would oppose this. Saudi Arabia has sent a senior delegation team to Erbil to discuss the referendum issues with the President of Kurdistan and mediate with the Iraqi government. Michael Fallon, the British defence minister, landed in Erbil, the KRG capital, and asked the Kurdish leader Masud Barzani to postpone the referendum. The American administration through different sources has issued statements of opposition to the idea of the referendum. Brett McGurk has talked to most of the Kurdish parties in the south of Kurdistan and told them that the USA will not support the referendum. The Israeli state and people have welcomed the referendum and a Kurdish state since they have suffered in the same way as Kurds have. To me all the messages from the Western world, to pressurise Kurds and delay the referendum, are a psychological gambit because they want to divert Kurds from their core hope and aspiration, discourage voters and especially to destroy the confidence of young voters. Kurds have truly stated from their history that they have no friends but the mountains. It is clear that the Western world and Kurdistan’s neighbouring countries want Kurds to remain under the occupation of the countries between whom they have been divided. Kurds have been the victim of global and regional power struggles since the Sykes Picot pact in 1916. The reaction of the most chauvinist state of the Middle East, Iraq, was bloodier and its response has included a decree to sack the Mayor of Kirkuk, Dr Najmadin Karim. The KRG replied that the Iraqi state embodies nothing other than violence and a war machine and they are not obeying that authority. The current Iraqi prime minister Abadi and former prime minister Maliki are the most unpopular premiers since the founding of Iraq in 1921. Two days ago the people of Karada in Baghdad threw stones and shoes at Abadi during his visit to the area. The Iraqi parliament has given authority to Abadi to do anything he can to stop the referendum. The Iraqi Parliament is the most dangerous and volatile place in Baghdad. The Iraqi state has proved they are treating Kurds as second-class citizens without any rights, and many of the Iraqi MPs are former members of Saddam’s notorious Baath Party. The Kurds never forget their friends in difficult days. But the Iraqi state throughout its existence has heaped historic calamities on Kurdistan including, we must never forget, the Halabja chemical attack in 1988 and the notorious Anfal genocide. The KRG message to Abadi’s Iraqi Shia government is this: Kurdistan will not be cowed and the referendum will prevail. 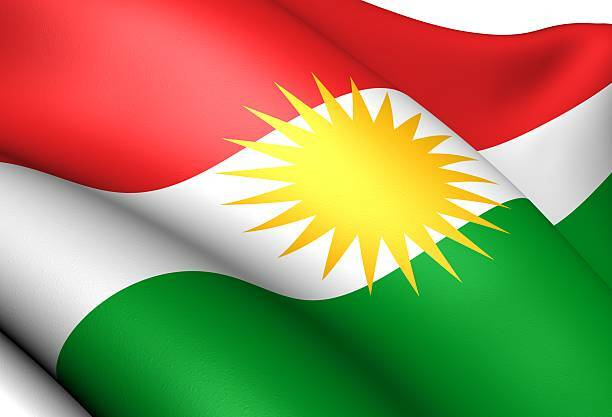 The Kurds do not defer to the hatred of the Iraqi state which is obsessed about Kurds and the referendum but instead they believe there will be justice. Kurdistan is stronger and better than those who seek to divide and destroy it. As the President of Kurdistan stated in a recent political rally in Duhok: the referendum is not the aim but it is the mandate to get to Independence. There is still the possibility, of course, that the referendum could throw up something really destabilizing. Last week we saw some groups from Iranian-backed Shia militias infiltrate Kirkuk and the local security forces arrested them. History has repeated itself again with the USA ABANDONING a fried who helped us fight a common enemy. My prayers are with the brave Pershminga fighters as they go to do battle with Shite hordes from Iraq, and the Turkish Devils who will make any excuse to stop Kurdish independence. I’m so ashamed to be an American during times like these when we abandon an ally.